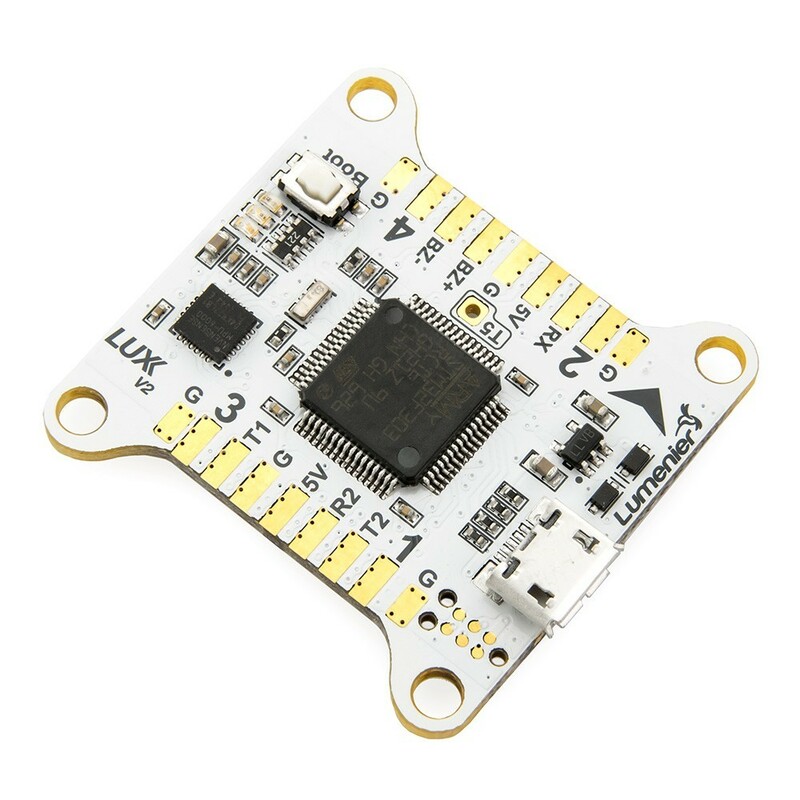 The Lumenier LUX V2 flight controller is a high-quality flight control using a powerful F3 processor with the top of the line hardware. 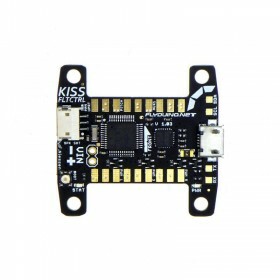 The Lumenier Lux flight controller allows you to unleash the full capabilities of your FPV Racing Quadcopter, with the Lumenier LUX Flight Controller you can achieve gyro refresh rates of up to 8kHz (high-speed SPI) using the popular Betaflight, Cleanflight and Raceflight firmware along with ultra-low loop times. The LUX V2 builds on the Lumenier Lux V1 with further improves on hardware components and layout. Now you get a whopping 5x dedicated UART ports for peripherals, along with an SD Card slot for practically unlimited data logging. The MPU has also been updated to the low noise MPU6000 Gyro making tuning even easier. No longer do you need to solder jumper pads for PPM/SBUS selection, it is automatically chosen via software! 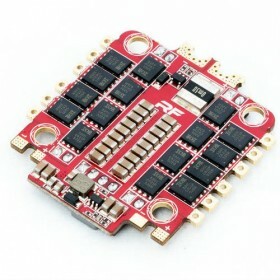 The powerful F3 MCU also supports the latest DSHOT protocol available in the newest BetaFlight firmware. The Lumenier LUX is a very low profile board allowing it to be mounted in a variety of ways. The board also comes with a set of pin headers you can optionally solder on. 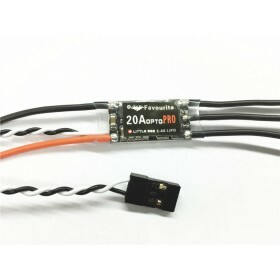 Alternatively, signal wires can be soldered directly to the pads to save on size and weight. 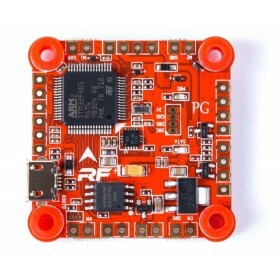 The LUX supports PPM or Serial RX (including Futaba, FrSky, S.BUS, DSMX). A signal inverter is already included for S.BUS. Please note: PWM input for individual channels is not supported. Please Note: The LUX V2 comes pre-loaded with the latest BetaFlight firmware, do not update the firmware with the old LUX V1 target as it will not function. 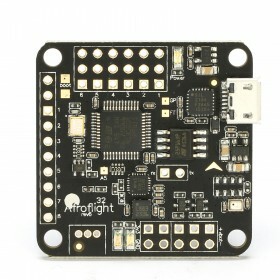 The new LUX V2 firmware is currently unreleased, and is part of the upcoming BetaFlight 3.1 RC.